study for European Food Business at Aeres University. The trip had stops including Milan, Piacenza, and Turin. The main goal of the trip was to experience different components of food production. From rural production to labeling and a broad diversity of foods and cultures at Salone del Gusto. Furthermore, the trip to Piacenza enabled us to see the University we are meant to study at in the 3rdyear of our study. The whole study trip was an enrichment to ourselfs. We started the day with a big foodtour that was guided by an Italian man who introduced us to the most interesting local food stores. One station was a small cheese and ham store in which I had my first contact with ham production. The most important thing we learned was that Parma Ham product must run through a traditional ceremony in which several requirements have to be fulfilled in order to be allowed to use the name “Parma ham “. Next stop was the Eataly store in the heart of Milan. 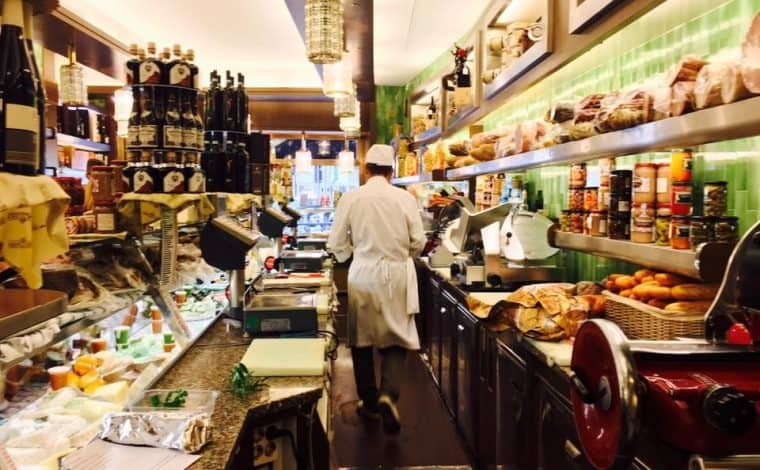 It is a concept store in which people are able to experience the Italian cuisine, drinks, products and buy several local products. We were able to have a private tour with one of the stuff that explained us the concept in a very detailed way. Eataly seeks to offer high quality agricultural products that have a reasonable price while being sustainable. This is possible by creating a straight relation between producer and distributor. The concept they follow to make a difference in the food industry was a very inspiring academic learning experience for me. Our personal learning experience of Monday 19th was to be able to distinguish between a caffé, which is an espresso in Germany and a caffé Americano which is an espresso served with a glass of hot water. Tuesdays schedule was all about visiting the University in Piacenza, a two and a half hour drive from Milan. The University is very well equipped especially when it comes to activities like sports. After a guide through the buildings we had the pleasure to listen to two lectures about Italian food. The second lecture was about food labeling. The main labels that the lecturer coped with were PDO (protected designation of origin) and PGO (protected geographical indication) which are my second and third academic learning experiences. Both labels are indicators and protection of traditional specialties all over the European Union. The purpose of these labels is to protect certain high quality products that are made in traditional ways and come from rural regions against mass production. The labels enable the rural producers to use protected names like Grana Padano, Culatello or Roquefort if they follow the standards of the labels. The PDO label consists of a yellow circle with red spikes, red description and a red inner circle with yellow stars and a symbol for an agricultural field. In order to be allowed to use this label for a product, the product must be produced, processed and prepared in one exclusive region which is known to be a traditional origin of the product. The PGO label has the same outlook like the PDO label but blue instead of red spikes, text and inner circle. Its rules are less strict than the PDO qualifications. A PGO product needs to fulfill one step of the production must be done in the specific traditional region of the product. The personal highlight of that day was the morning run we did in the morning before everyone was awake. The smell of the bakery that took out the typical Italian pastries from the oven, the people that went to work and the normal everyday life in Milan was a really unique experience for me. My personal learning experience was to use the Italian toilets at University in Piacenza. These toilets only consist out of a hole in the floor and a flush that you have to use with your foot. It was really interesting to see that people in Italy provide hygiene in such a different way than for example people in the Netherlands or Germany. On the third day we had a really big tour that was organized by the University in Piacenza. 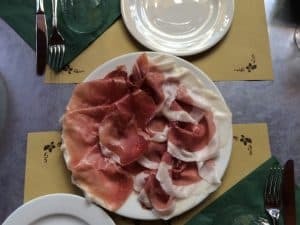 The main stops were at a Grana Padano factory, a chef school in Alma and a big dinner with a tour through a Culatello basement. In the schedule it was planned to finish the day with a wine tasting but sadly we did not manage to reach the vinery in time. Our personal learning experience was the taste of honey and Grana Padano. We never had the combination of sweet and cheese before but it really was an enrichment. Furthermore it was interesting to see a traditional cutting of Grana Padano in which the guide used a golden hammer in order to find holes in the cheese by tapping the surface with the hammer and then used a small really sharp knife to cut the cheese. The highlight of the day was the Italian menu we had in connection. Although the Italian cuisine is known for its meat and fish a fellow student and Fiona and Claire had a really good vegetarian menu. As a starter we had a buffalo mozzarella, the second starter was a really good chick pea soup followed by ricotta filled pasta and a parfait for dessert. Throughout the dinner we had a white and a red frizzante wine. The fourth day started with the wine tasting we missed on the day before. Later in the day we travelled to Turin to participate in Salone del Gusto which is an exhibition dedicated to food and its diversity. 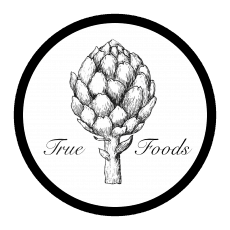 The organizer is Slow Food of which we, as students of Aeres Hogeschool are members. The highlight of the day was the first impression of Salone del Gusto. We did not expect the amount of diverse products that were provided at the different stands. Especially the Surinam foods was something that we really appreciated to learn more of. The final day we spent at salone del Gusto. There we participated at a food tour, a personal shopper tour and a discussion about food wastage at the university of Turin. The most interesting academic lessons we experienced at the discussion about food waste at the University of Turin. The main facts about food wastage as defined by the representative of the UN FAO was that food waste is a symptom and the causes happen at the micro level (consumer), the meso level (organistaion of the system like restaurants) and the macro level (laws, cultural values and cities). In fact one third of the food we produce is wasted. According to the representative of UN FAO the main cause is the value we give to food. One of the other participants, Louisa Mario, organized an experiment in 30 different hospitals over 48 weeks to analyze the amount of food wasted by patients. The results were that nearly 30% of the food was wasted because the patients did not like to eat poor quality foods. The main result of this experiment showed that poor quality food is not a saving for broke hospitals because patients that do not eat their meals have a longer healing process caused by a lack of nutrients. The highlight of the day was the discussion. Furthermore we made contact to one of the representatives of Slow Food Germany to ask them about a project they organize and we are interested in. We came home, full of new impressions, emotions, excitment and a whole suitcase full of olive oil, wine and cheese.